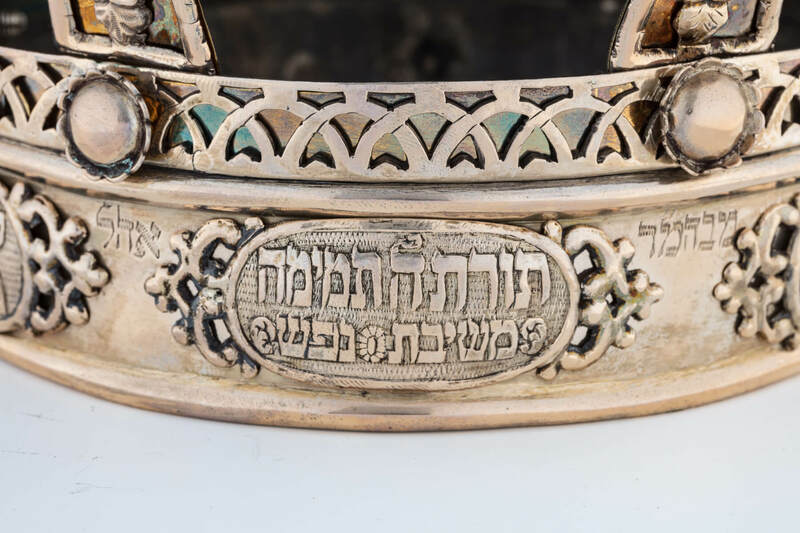 Poland/Jerusalem, c. 1840. 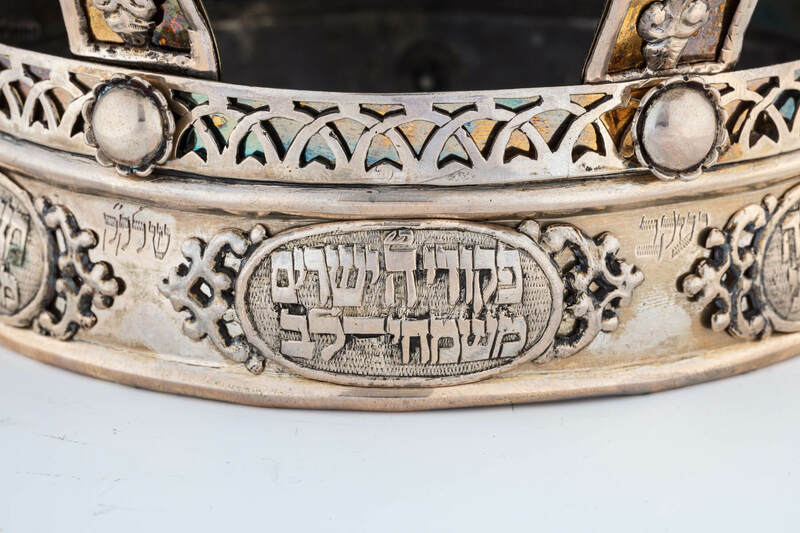 The lower band with applied cut cartouches, each one with a different scriptural epithet praising the Torah. 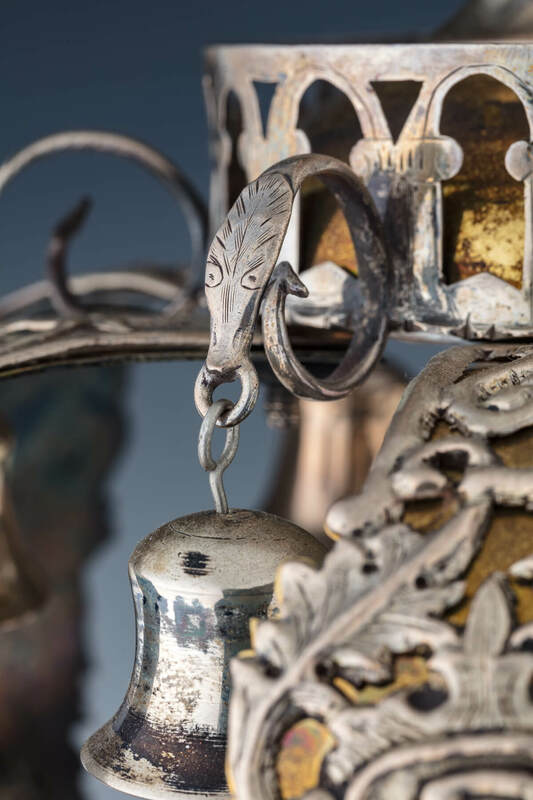 This base is attached to the upper portion with six lattice cut silver over gilded ribs, alternating with six snakes, each holding a bell. 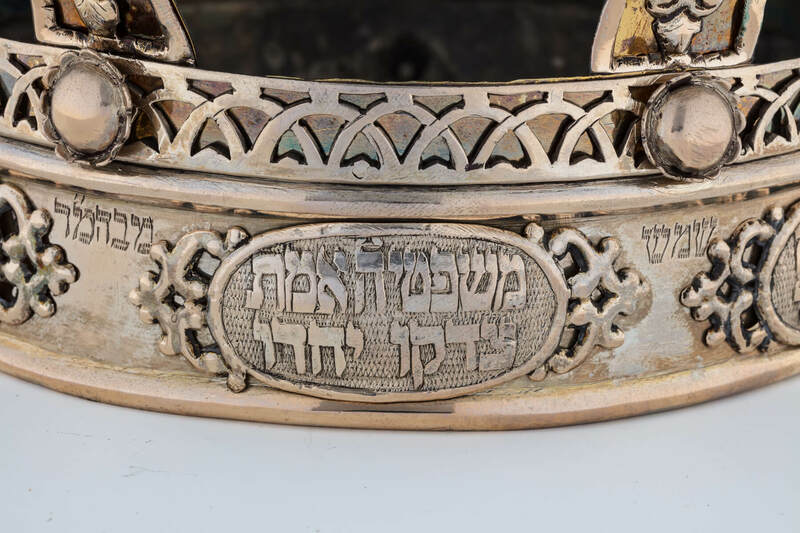 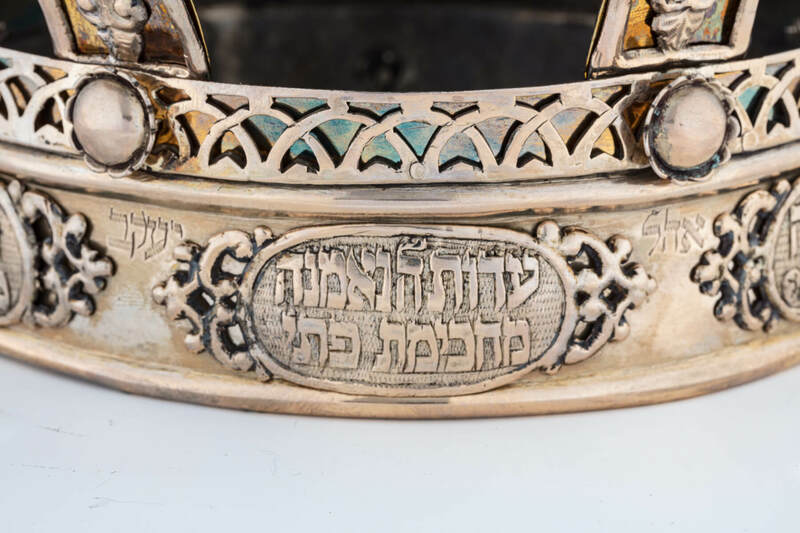 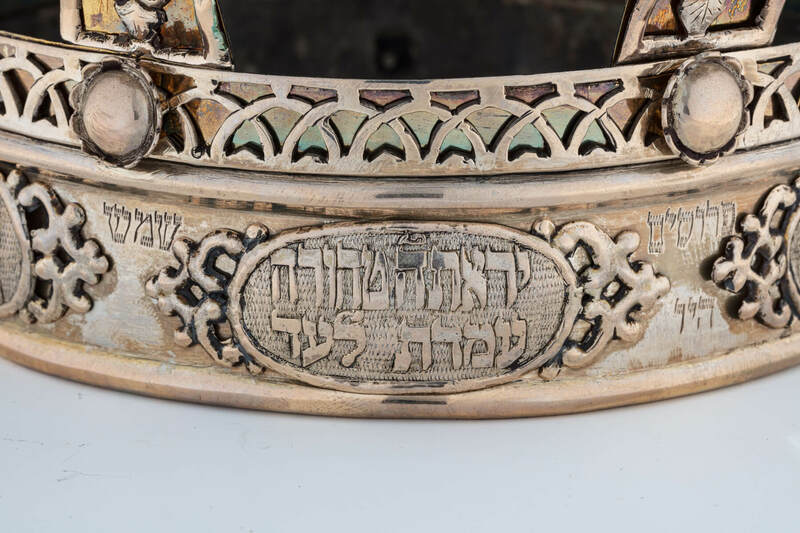 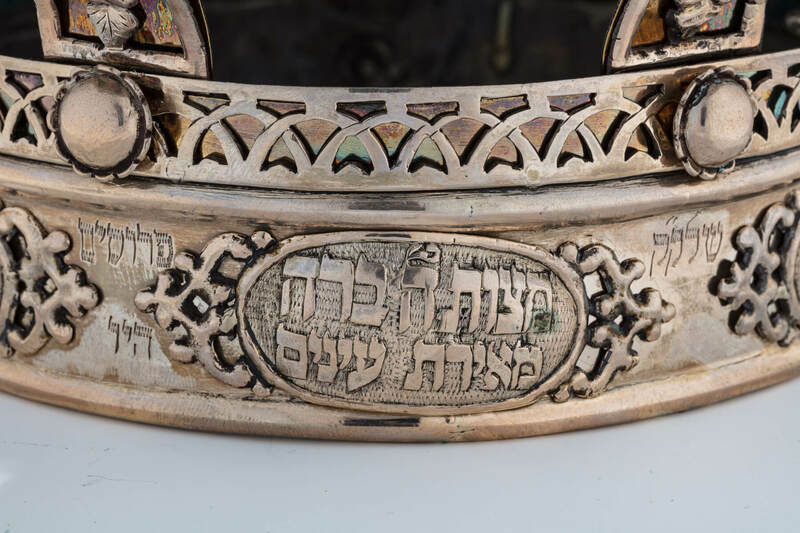 Engraved in Hebrew along ribs indicating that it was donated by Yaakov, son of Meir. 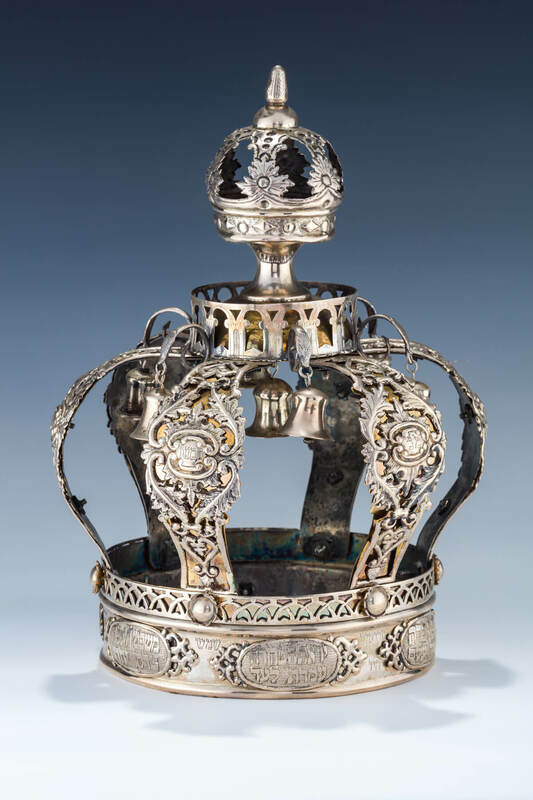 12.1” tall.